While Dave and Dianne Blackham are still in our midst, my wife and I want to express to them my best wishes for the mission they will soon begin serving in Mexico for the LDS Church. 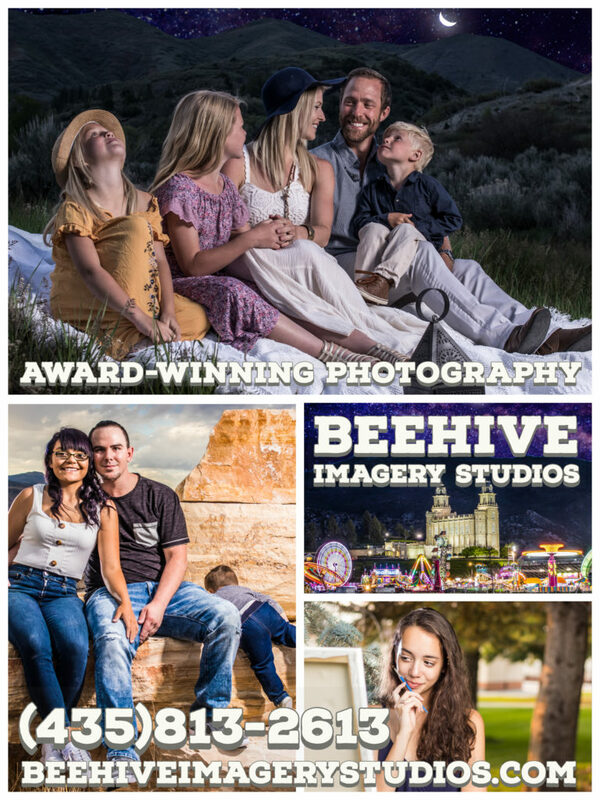 During their absence, we will miss them, but will also be wishing them well as they continue to serve their neighbors and the surrounding community in a different location, one far from those they have long served in Sanpete County. 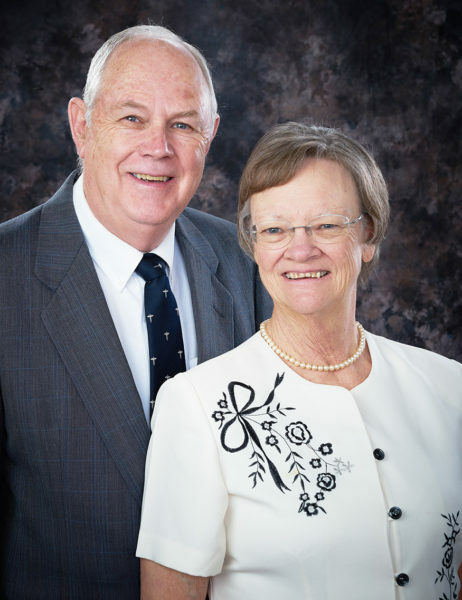 Personally, I know few of the details concerning their mission call except for being told by Dave, while picking up a prescription at Skyline Pharmacy that he and Dianne would soon be leaving to serve in Juárez, Mexico. A few days later, during another visit to the pharmacy, I was told by the pharmacist on duty, their daughter, Emily, of her trepidation with trying to step into the shoes being left empty, and needing to be filled, while Dave and Dianne are away. While I have great confidence in Emily’s abilities, I agree with her that filling the shoes of her parents will be a tall order. They have a long and illustrious service to the community, which strikes me as something we should all aspire to. Years ago, soon after my wife, Magdalena, and I settled in Fountain Green, we volunteered to establish a new Cub Scout program at Mt. Pleasant’s historic Presbyterian Church. Our plan was to serve mostly the youngest possible age group of scouts since they were not yet old enough to join the scouting programs in the area’s LDS wards. Happily for us, not long after we announced our plan to start the Cub Scout den, the Blackhams stepped forward and offered to assist our efforts. So, as Magdalena became the Den Mother and Dianne the Assistant Den mother, the Blackham’s two youngest sons became charter members of the new Cub Scout Den. In retrospect, it now seems almost prophetic that most of the other boys who joined our den came from the Spanish-speaking families which my wife, a native of Mexico with advanced University degrees from there, got to know from her work in north Sanpete elementary schools. Over the years since then, we have witnessed the Blackhams contributing in other ways to many other efforts making our area a better place. Who knows if we would now be enjoying the benefits of the ConToy Arena, with its indoor Rodeo space and outdoor Eventing course, or the Aquatic Center, with its Olympic Size swimming pool and children’s Splash Pad, without Dave and Dianne adding their support to the efforts of other like-minded citizen seeking to improve life for all of us? I do know that a few years ago, when a large company operating a nationwide chain of pharmacies expressed interest in possibly buying Skyline Pharmacy from the Blackhams, Dave and Dianne ranked protecting the jobs of their employees and serving the needs of their customers at the top of their list of demands any buyer would have to meet—perhaps killing the deal. I am happy our corner pharmacy has not yet been replaced (as I see it, newer and bigger are not always better.) In any case, my wife and I wish the Blackhams a wonderful time on their mission, yet we don’t want them staying away for long. This timeless message taught by the very Son of God as he walked the earth 2000 years ago applies to every aspect of our lives today. It remains crucial to the destiny of America if liberty is to survive. The great Christian General Moroni warned us in the Book of Mormon (Ether 8:23) that the same forces which destroyed two great civilizations on this continent, centuries ago, are had among us now. overcome them. Vance Smith who will be speaking at the Manti City Complex, 55 S. Main in Manti Sept. 6 at 7 p.m. has paid a huge price to understand and shed light upon these very deceptive evils and how they can and must be defeated. We are fortunate to have a man of Mr. Smith’s caliber share his vital knowledge here in our midst. for the “Cause of Christians” and liberty. The enemy is entrenched but there is still time for each of us to make a difference. I believe Sanpete, with God’s help, can be a beacon to our whole Nation! Ellen Virginia Sorensen Long, 77, passed away Aug. 26, 2018 in Payson, Utah. She was born April 13, 1941 in Salt Lake City to Eugene Clarence and Inez Virginia Powell Sorensen. She married Allen M. Long on Oct. 9, 1961, later sealed on Oct. 9, 1962 in the Logan Temple. She loved her husband and family very much. 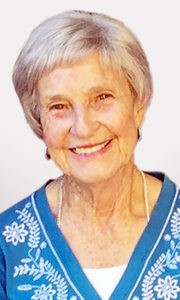 Ellen held many positions in her church callings. Ellen loved to travel, and through her travels she had the opportunity to do humanitarian service to an orphanage in Peru. She was always looking for ways to help others, many times without the person knowing. She never wanted to be recognized for the service that she did. Mom always felt that her grandest accomplishment was her family. Whenever one of her grandchildren or great-grandchildren’s names was mentioned, she would say “Oh, I love them so much”, and start telling something special about them. For each of her grandchildren and great-grandchildren she made a special Christmas stocking. Ellen loved to spend time with her friends, and would do many crafts. She also took many trips with her dear friends. Mom and dad moved to Fairview and lived there for the past 28 years. They loved their home, waking up every morning to the sound of wind chimes and their beautiful view of the mountains. In fact, mom loved to walk the area, she would walk every day about eight miles, and nobody could keep up with her speedy step. 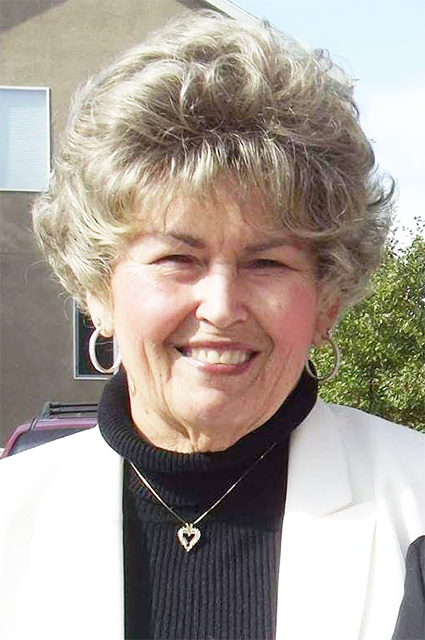 Survived by her loving husband Allen M. Long, her daughters: Michelle (Ben) Larsen and Annette (Bob) Garner; seven grandchildren, eight great-grandchildren; two brothers and one sister. Preceded in death by her son Scott “Scotty” Allen Long, and her parents. Funeral will be held Saturday Sept. 1, 2018, with a viewing at 11 a.m. at Larkin Mortuary, with graveside services will be held at Wasatch Lawn Memorial, 3401 S. Highland Drive, Salt Lake City. Charles Ray Rasmussen, 92, passed away in Payson, Utah, on Aug. 13, 2018 of causes incident to age. He was born in Ephraim on Aug. 1, 1926 and raised in Manti. As a youth he was a jockey and worked for the U.S. Forest Service. “Chuck” enlisted in the Army and finished his training in Hawaii. He returned to Utah and earned degrees at both Snow College and the University of Utah, receiving a Bachelors of Fine Arts and Architecture in 1953. He married Jean Dyreng May 27, 1949 in the Manti Temple. They have six children. Chuck was an innovative architect. His career took him to Cedar City, then California. He was active in Kiwanis and a member of The Church of Jesus Christ of Latter-day Saints, serving in many callings, a mission to Denmark, then as an ordinance as worker at the Provo Temple. See full obituary at premierefuneral.com. He was preceded in death by wife, Jean Dyreng, his parents, Homer and Caroline Rasmussen, sisters, brother-in-laws, and son-in-law; Irla (Claud) Maylett, Valene (Lawrence) Nielsen, Roena (Mac) Shields, and Ricky Long. He is survived by his six children and spouses, 32 grandchildren, and 64 great- grandchildren: Karen Rasmussen Long, David (Shauna) Rasmussen, Kimball (Shelley) Rasmussen, Diane (Mike) Sellers, Kathleen Rasmussen Davis, and Daniel (Stacey) Rasmussen. The funeral will be held Friday, Aug. 31, 2018, at 11 a.m., viewing at 9:30 a.m., Chapel 546 North 500 West in Orem. A graveside service will be held at the Ephraim Cemetery at 3:30 p.m. the same day. 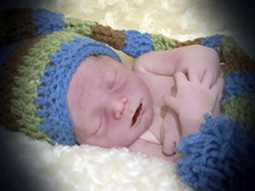 Cian Kendall Garth Brown, infant son of Chris “CJ”Allen, Jr. and Shantel “Tella” Clark Brown, was born and passed away on Aug. 20, 2018 in Gunnison. He is the brother of Keiley-Jean RaNae Brown and the grandson of Sean and Kristy Clark, Chris Allen Brown and Shirlene Hazel Brown, and the great-grandson of Jean Dutton, Martin and Gayle Stock, and Robert “Bob” Clark. He was preceded in death by great-grandparents, Wendy Clark, Kendall “Mel” Dutton, Garth and Nola RaNae Hazel. Graveside services were held on Tuesday, Aug. 28, 2018 at 10 a.m. in the Spring City Cemetery. Funeral Directors: Magleby Mortuary, Richfield, Salina and Manti. Online guestbook at www.maglebymortuary.com. Weston Simons and Makayla Blake. 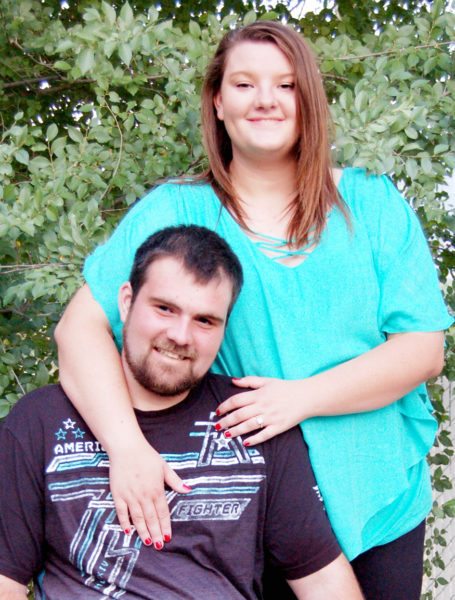 Douglas and Linda Blake are pleased to announce the marriage of their daughter Makayla Blake to Weston Simons, son of Kelly and Natalie Simons, on Saturday, Sept. 8, 2018. Makayla is a graduate of Manti High School. She is the granddaughter of Louise and the late Elwood Eddy of Manti, and the late Thayne and Linda Blake of West Valley. Weston is a graduate of Manti High School. He is the grandson of Guy and Lynda Palmer of Manti and Suzanne and the late ElRay Simons of Moroni. 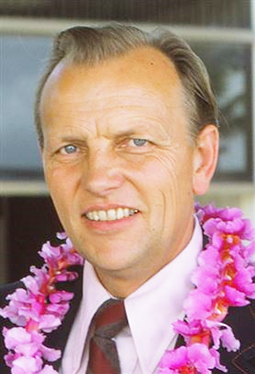 He is the great-grandson of the late Dern and Ethelyn Chapman of Moroni. Please join their families in celebrating at an open house held in their honor that evening from 6-8 p.m. at the Blake’s home at 195 West 400 North in Manti. 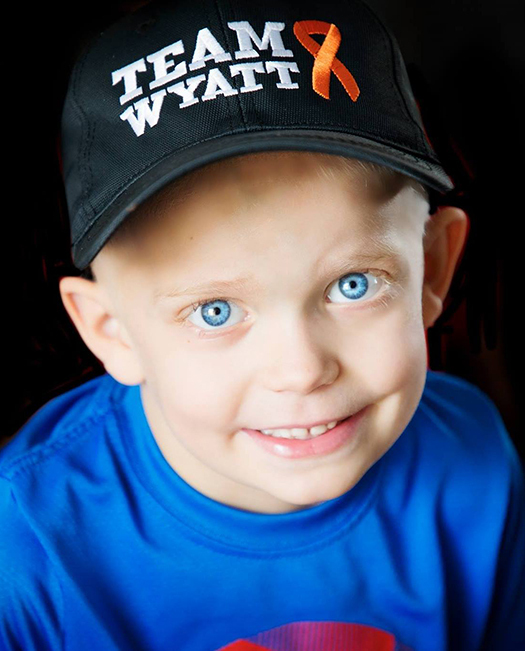 Wyatt Craven of Fairview will be the focus of a benefit on Saturday in Mt. Pleasant. He is fighting myeloid leukemia and is scheduled for a bone marrow transplant later in September. MT. PLEASANT—Friends in the community have scheduled a benefit this weekend for a boy in Fairview who is fighting leukemia. A group calling itself Team Wyatt is organizing a 5K charity run on Saturday to help Craven’s parents, Mike and Chrissy Craven, with medical expenses, especially the high cost of a drug that is not covered by insurance. Festivities will be centered at 180 Fitness, located in the old North Sanpete High School building at 180 N. State Street in Mt. Pleasant. At 10 a.m., the 5K race will start. It costs $15 to enter. At 11 a.m., a prize drawing will be held with tickets $5 each or five for $20. And then at 11:30 a.m., a fund raiser luncheon will be held. According to the family’s LDS bishop, Wyatt suffers from acute myeloid leukemia, an aggressive form of cancer that attacks the immune system. He is scheduled for a bone marrow transplant later in the month. September is also Childhood Cancer Awareness Month, and Wyatt’s parents hope to raise awareness of all forms of childhood cancer. To preregister, go to www.180.fit/WyattCraven5KCharityRun.com. Supporters can also go to Facebook, under “superwyfoundation”; Instagram “@craventhegoodlife”; or Blog Spot “craventhegoodlife” for more information. FOUNTAIN GREEN—About two dozen residents attended an “open house” last week to learn about plan to build a new combined city hall and fire station. The proposed site is on State Street between 300 and 400 North, and the estimated cost is $2 million. While public approval is not required, the city plans to send out ballots to citizens in the next week or two to get their approval before moving forward. At the open house Thursday, Aug. 23, Mayor Willard Wood explained the plan was to sell the present city building, once an elementary school, and use the proceeds to match a potential 50/50 grant or loan from the Utah Community Impact Board (CIB). The mayor said the existing city building would be sold to a family who plans to turn it into a combined “activity center” and private residence. He said the building would be sold at its “full appraised value” of $300,000. Meanwhile, he said, the city hopes to retain the old fire station for storage. Wood laid out the schedule for the project. A planning meeting will be held in October, where the city will present its plans, get CIB input, and based on the input, possibly amend the plan. The city’s formal application would be due in January 2019, and the CIB would make its decision in February 2019. If everything went as scheduled, the city would break ground in March 2019. The city plans to apply proceeds from sale of the current city building toward its expected payments on the new city hall from 2019 through 2025-26, Wood said. By then, debt on some earlier city projects will be paid off. Then the city can divert funds now budgeted for the earlier debts to meet its new obligation. By doing so, the mayor said, the city would not need to raise taxes to pay for the new building. The mayor told the audience that plans for the building had not yet to be prepared, but blueprints for a similar building in Elsinore, Sevier County, were on display for the audience. The city is considering using the same design. In response to questions from the audience, Mayor Wood said the new building would “absolutely” have a library in the basement, although it would only be reached by stairs or a ramp. “An elevator cost as much as half the building,” he said. Wood said the proposed budget for the building included “contingencies” for any cost overruns, although any “extra” money could not go to any other project, but would have to be returned to the CIB. At the end, Wood said that even if the city doesn’t get approval from citizens or the CIB to build the new combined city hall and fire station, it will go ahead with a new fire station. “Everyone needs to know that,” he said. FOUNTAIN GREEN—The Fountain Green Planning Commission has proposed a buffer zone around the city that will define the lot sizes for future development and potential annexation into the city. Brian Allred of the commission presented the proposal to the Fountain Green City Council last Thursday, Aug. 23. 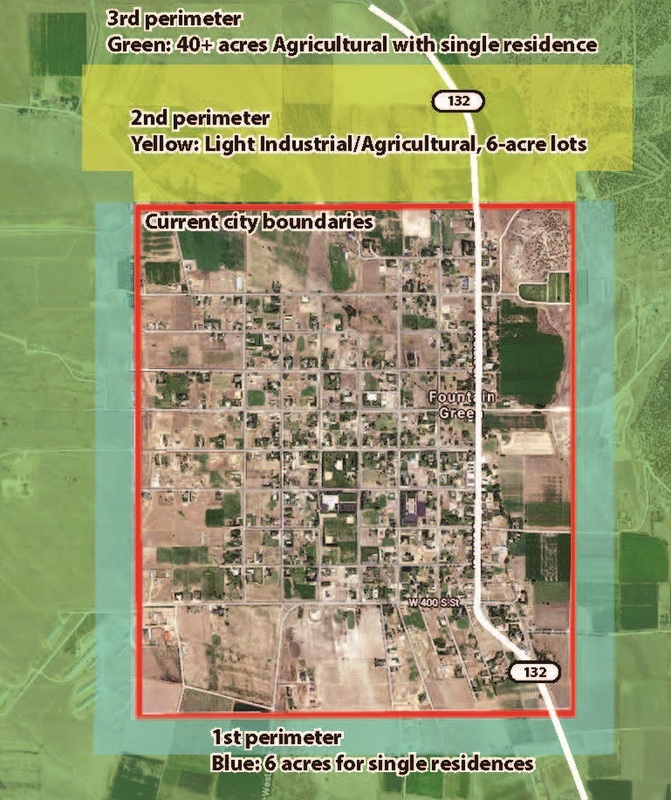 The proposal was developed in response to a directive from the Sanpete County Planning and Zoning Commission to municipalities to develop buffer zones plans and provide them to the county for planning purposes. The directive was issued in April 2018. Fountain Green has been working on the plan since then, Allen said. A map of the buffer zone showed two “perimeters” around the city. Land inside the first perimeter would be zoned Residential-Agriculture (RA-1), which requires lots to be a minimum of 6 acres. Land between the city limits and first perimeter on north side of town would also be available for light industry. Land between the first and second perimeters would be zoned as Sensitive Land (SL-1 or SL-2). That classification requires lots to be at least 40 acres. The land can be used for either agricultural or residential purposes. A document accompanying the map explained that the city would not provide water or sewer services to lots in the buffer zone, and developers would be required to provide roads aligning with the city’s current transportation grid. Allred told the council his commission required 40-acre lots in the outer band of the buffer zone to protect the city water infrastructure; this will reduce the number of wells drilled near the city and avoid depleting water aquifers. He noted that Nephi had also used 40-acre lots in its buffer zone. Allred also said the plan was only a first step. A public hearing will be held on the proposal, after which, he said, he expected “fine tuning” from the council. Once completed, the plan could be presented to the county for approval, he said. The council promised to review the plan and bring it before a public hearing in the near future. Colored area around Fountain Green map show details of proposed buffer zones. ATHENS, TEXAS—The Snow College Badgers traveled to East Texas for the first game of the 2018 football season, and came away with the victory, albeit a somewhat closer win than they would have liked with the final score 56-43. In Head Coach Paul Peterson’s second year, he has quickly established an explosive offense as one of Snow’s trademarks. And this game was no different. Early on, the Badgers dominated play, taking a 24-0 lead midway through the second quarter. The Cardinals finally managed a drive in the late second quarter to put up their first points and then were able to recover a Badger fumble on Snow’s 2-yard line. That made the score 24-14 with only 52 seconds left in the quarter. Snow was able to drive the length of the field to tack on a field goal and go in at half up 27-14. The third quarter started out much like the first, with Snow dominating the early scoring, going up 43-22 by the end of the quarter. However, by this point, both defenses had played many snaps and were getting gassed. Both teams traded touchdowns to push the score to 50-29, and then Trinity scored again to narrow the lead to 50-36. However, a missed receiver assignment led to a Snow interception that gave Trinity another short field, and the Cardinals were able to get within a touchdown, 50-43. The Badgers calmly went back on the field, and marched to another score, taking nearly 7 minutes off the clock, to go up two scores, 56-43. Snow’s Leon Morgan intercepted Trinity’s last drive, and sealed the victory. Quarterback Braxton Kerr, making his first start for the Badgers, went 25-38 for 367 yards. “He did a great job managing the offense. He played smart and didn’t force the ball. He made good decisions for our team,” said Coach Peterson. Running back Jaylen Warren picked up where he left off last year, gaining 237 yards on 31 rushes. His stable mate, D’Armon Notoa, did not play, after breaking his foot in practice earlier in the week. Coach Peterson estimate he will miss 4-6 weeks. The Badgers will open their 2018 home schedule by hosting the semi-pro team USA Revolution from Las Vegas, Nev. The game is on Saturday Sept. 1, with kickoff at 7 p.m.